SlotsMillion-commissioned research shows that 92% of all interviewees were familiar with Virtual Reality as a term. 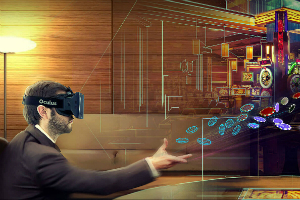 Launched in 2014, SlotsMillion is known to be the first real-money Virtual Reality casino. About 23% of all respondents have tried different aspects of Virtual Reality as emerging technology. The reported figures show that VR has enjoyed the greatest success among people aged 18-34. This does not come as a big surprise, as the new technology has been heavily promoted as one targeting millennials. The research further shows that 24% of the respondents aged between 35 and 54, and 10% of those aged 55 and over have too tried VR. Of those asked whether they were interested in VR, 80% of the Generation Y representatives, 66% of the demographic group of the 35-54-year-olds, and 56% of the over-55-year-olds gave an affirmative answer. In terms of gender, 60% of all interviewed women and 72% of all interviewed men said that they were interested in VR. About 30% of all male and 18% of all female respondents answered that they had tried VR. Around 1% of all participants in the study, compiled by UK research firm Opinium, identified themselves as obsessed with the technology. Almost 14% responded that they are very interested, another 19% were interested, and 33% had mild interest in VR. Gaming and travel experience emerged as the most popular options for people to deploy VR technology for. Watching television, movies, and live music as well as using VR headsets for taking part in different sports activity were also among the top choices. According to SlotsMillion’s research, around 171 million people will be using Virtual Reality by 2018. It is also believed that revenue generated from VR products will reach $4.6 billion by the end of 2017. What is more, Opinium estimates that VR software will see a 3,000% rise in revenue by 2018 and 28 million people will be buying VR products, both hardware and software, during that same year. Commenting on the report, SlotsMillion CEO Alexandre Tomic said that its results indicate that the fundamental phase of creating awareness in consumers has been successful and that it is only the limited opportunity of trying a VR headset that has prevented many from doing so. Affordability is still an issue, according to Mr. Tomic, but he noted he believes once prices go down, more and more people will deploy the technology. SlotsMillion is part of online gaming company ALEA. The latter was founded in 2012 with the purpose to present the online gambling community with innovative offering. So far, it has delivered on its strategy mainly though its real-money Virtual Reality casino product.